"Vanishing Frontiers: The Forces Driving Mexico and the United States Together"
President Trump, Canadian President Trudeau, and Mexican President Enrique Peña Nieto sign the U.S.-Mexico-Canada trade agreement during a ceremony in Buenos Aires, on the margins of the G-20 Leaders' Summit on November 30, 2018. When Donald Trump was campaigning to be president in 2016, he frequently denounced NAFTA, claiming the agreement caused the U.S. to rack up over $2 trillion in trade deficits, and lost millions of manufacturing and auto jobs. 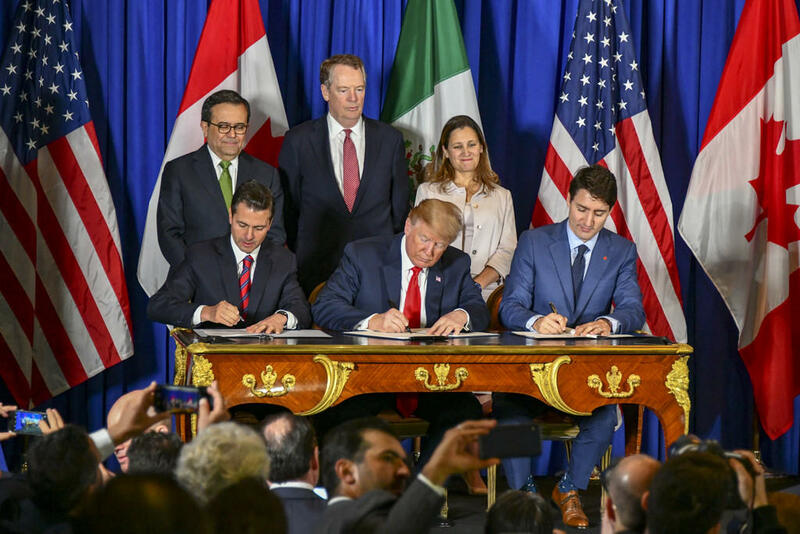 Then on Nov. 30, Trump joined then-Mexican president Enrique Peña Nieto and Canadian prime minister Justin Trudeau in Buenos Aires to sign his own modified version: the U.S.-Mexico-Canada Agreement. 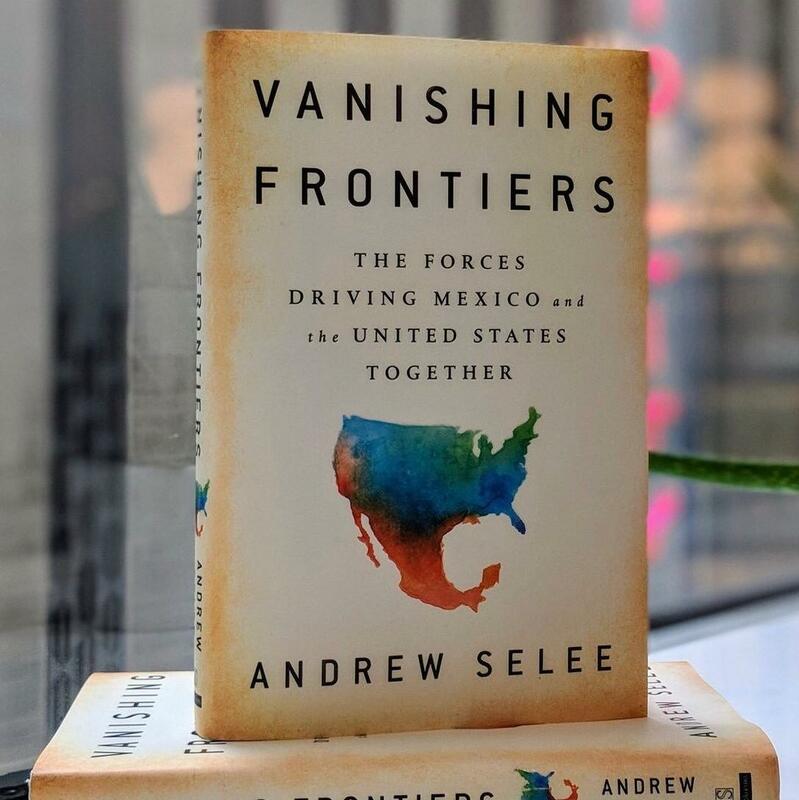 Selee, author of “Vanishing Frontiers: The Forces Driving Mexico and the United States Together,” said that before NAFTA, Mexico wasn’t much on America’s mind, and vice versa. Since its enactment just over 25 years ago, the economies and cultures of the two countries have changed significantly. In the book, Selee explores how the U.S. and Mexico were both enhanced — and threatened — NAFTA. He also looks ahead with the Trump administration heading into its third year in office, and the beginning of a new administration in Mexico with Andrés Manuel López Obrador.